It’s important to reduce weight on a flat roof. If the weight continues to increase, it’s going to cause the roof to cave in. There are many ways to reduce the weight and therefore you need to know about them. 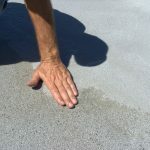 Applying a self-leveling compound is a great solution when it comes to fixing a commercial flat roof. It will ensure that ponding water doesn’t continue to occur. However, you have to be cautious not to add additional weight to the roof when you apply the compound. Following a few basic tips will help you to avoid issue. Every time it rains, there will be added weight on the roof. This means that you need to address the drainage, otherwise the problem is going to happen time and again. Unfortunately, with a commercial flat roof, it is prone to ponding water. This is because the roof will continue to develop divots where water will collect. You might want to use solar water pumps on the roof, at least temporarily, until you level out the roof. Using a leveling compound is going to be the more affordable option in comparison to changing the entire slope of the roof. This would require extensive construction, and it is likely not within your budget. A common DIY approach to deal with the divots and low points within a flat roof is to use concrete. This will certainly level out the roof, but it’s going to add a significant amount of weight. This is exactly what you want to avoid. A good solution is to use a leveling compound that contains EPS as a filler. EPS is what’s known as expanded polystyrene. It is a rigid, lightweight foam that is durable. There are many benefits to this, though perhaps the most important is that it reduces the weight that’s added to the roof when a self-leveling compound is used. EPS will allow you to level out the imperfections was in the roof, thus improving drainage. It will prevent ponding from occurring because there will be no place for the water to sit. You will also be able to use plenty of it throughout the square footage of the roof without having to worry about adding too much weight. The goal is to minimize the amount of weight that you add to a flat roof. Water and other elements are going to add weight over time. This is why it’s critical to use a self-leveling compound. However, you need to be sure that you don’t add to the problem by using too much of the product. 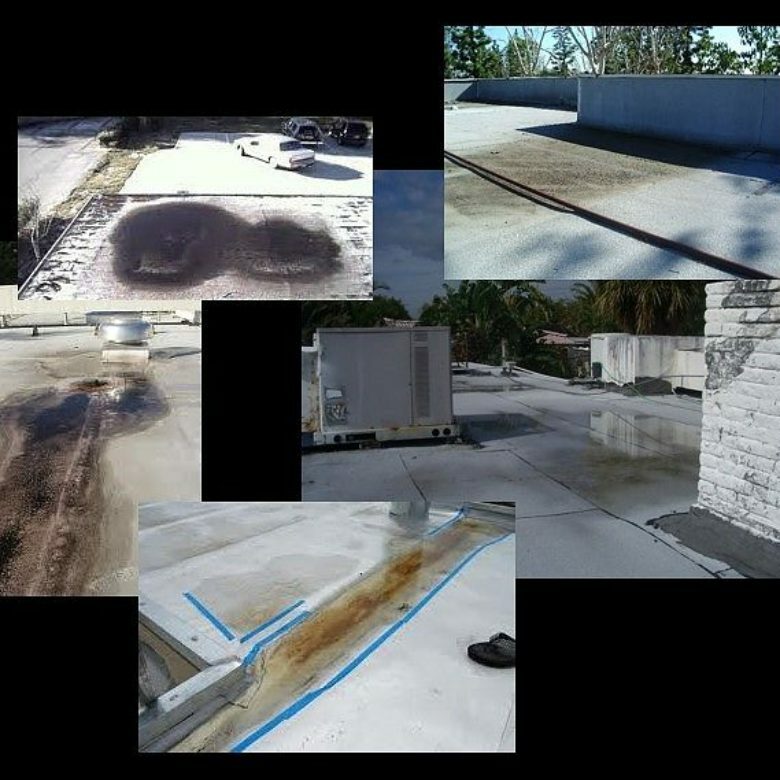 Professional installation of the self-leveling compound will ensure that the issue is taken care of without adding any more weight to the commercial roof than absolutely necessary. Installers will know how to use the product. The added benefit is that it will reduce cost when there is no waste. This is always a good thing because you don’t want to endure expensive repairs. Commercial flat roofs are popular because of their cost. 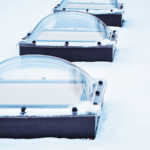 Although it’s what’s commonly used, it’s up to you to do your due diligence regarding the condition of the roof over time. Too much weight is going to cause the roof to come crashing down at one point or another. A self-leveling compound is a good solution to fix the problem so you don’t experience ponding water. By following recommendations on reducing the weight when installing the compound, you overcome problems that might otherwise occur. 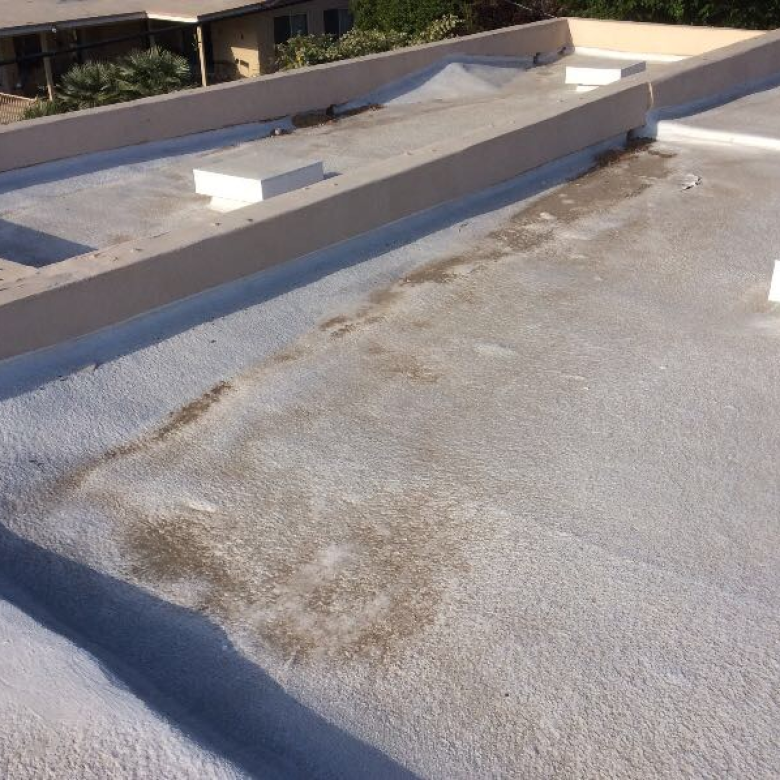 Learn more about how to improve a flat commercial roof by contacting RoofSlope today. It will allow you to learn more about your options to fix your roof and reduce the likelihood of roof damage.